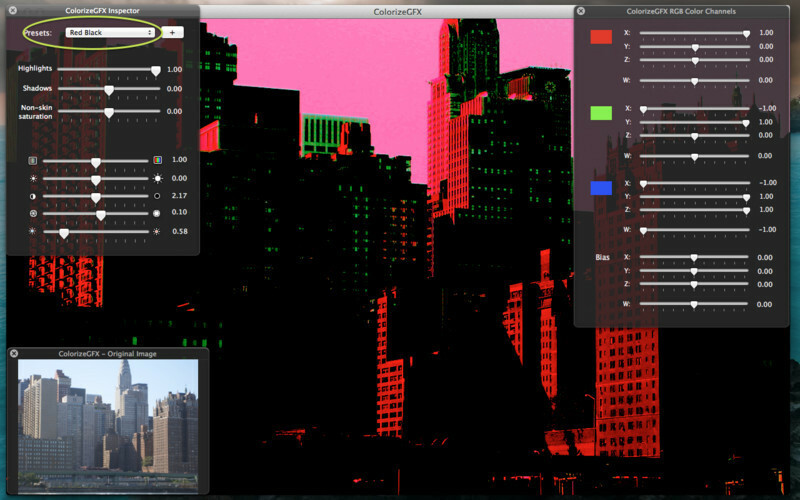 Image editor that focuses on color control. Is there a better alternative to ColorizeGFX? 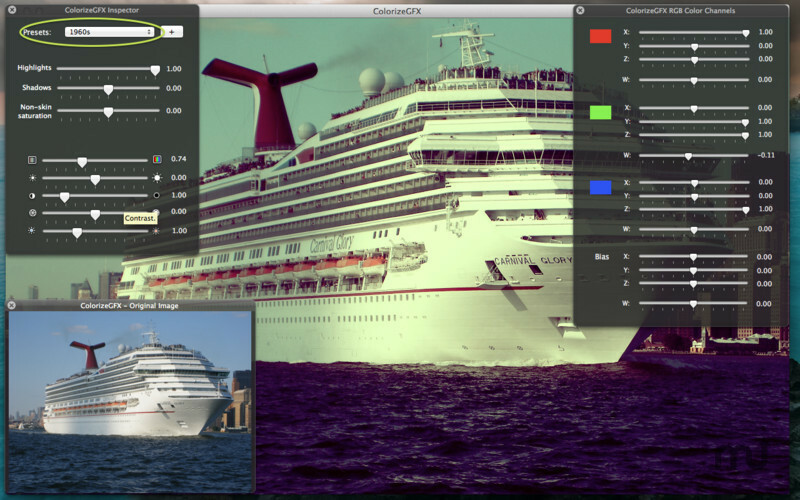 Is ColorizeGFX really the best app in Designs and Graphics category? Will ColorizeGFX work good on macOS 10.13.4? ColorizeGFX is a very powerful multipurpose image editing application focusing particularly on providing advanced processing in the areas of color channel control, highlight control, shadowing, skin color retention while adjusting the color of other parts of an image. ColorizeGFX needs a review. Be the first to review this app and get the discussion started! ColorizeGFX needs a rating. Be the first to rate this app and get the discussion started! Skin Tone processing - In the Inspector panel, the "non-skin saturation" slider provides a very powerful image editing feature. If you want to boost or reduce the color in an image but keep the skin tones of faces largely unchanged, use this slider. It's great if you have images with people where the overall color is either too weak or too strong. Normally simply adjusting the overall saturation would give faces an artificial coloring, but using this slider provides powerful overall color adjustment without distorting any face tones. Highlighting and Shadowing - The Highlights and Shadows sliders in the inspector panel allow you to adjust the tonal mapping of an image while preserving the spacial detail. This is useful when you want to increase or decrease the level of the shadowed parts of an image. Or if you have a section where the light is too bright, say an indoor image with a bright section where sunlight is coming through a window, or a reflected surface, you can use this slider to adjust the highlighted areas while leaving the lighting of other areas in your image largely unchanged. 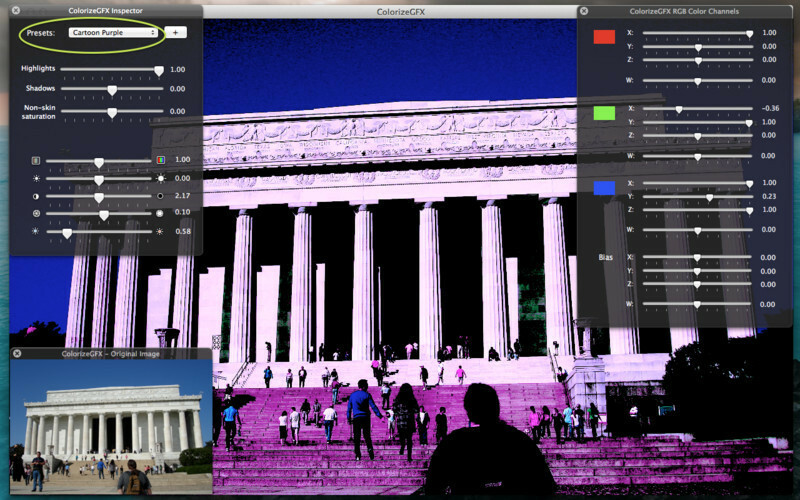 Color Channel Control - The Color Channel inspector window provides immensely powerful ways of fine tuning the exact color control of your image. Each of the three (red, green and blue) color source mixes in your image can be adjusted independently, and in addition have a bias level applied to them. This gives you the power to make very finely-tuned color adjustments, or go crazy and turn your images into spectacular cartoon-like pictures. And when you find a look you like, simply save all the settings as a new preset in the overall inspector. 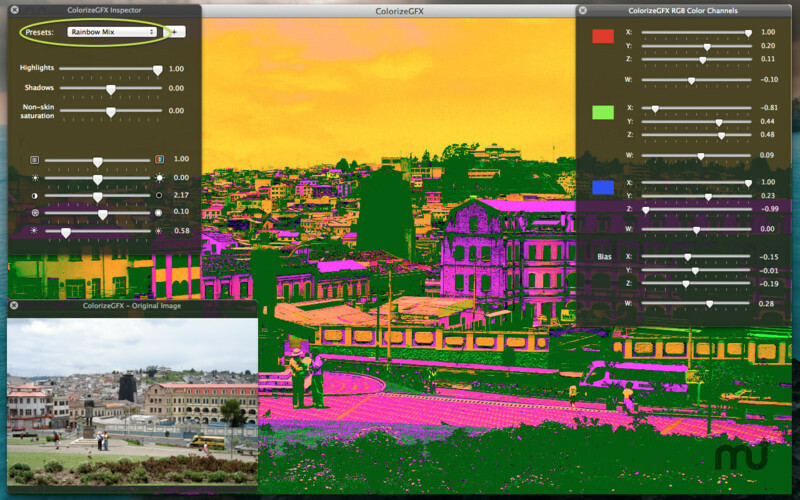 Rendering and Saving - ColorizeGFX renders all effects instantly, by building on top of Apple's very powerful Core Image and other graphics frameworks built in to OS X. No lengthy waiting for effects to be applied. When you save an image with an effect applied it will be saved with the same dimensions as the original source image. Builtin Presets - The inspector window provides access to many built-in presets of all the ColorizeGFX image processing controls. Use them to give your images a classic 1960s or 1970s look, or lurid green skies looks, or even fun cartoon style appearances.